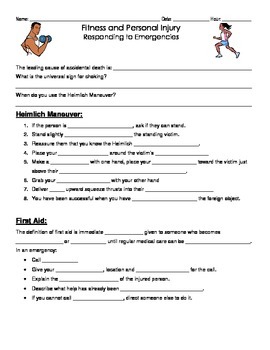 These notes pages work in conjunction with the First aid, CPR PowerPoint. 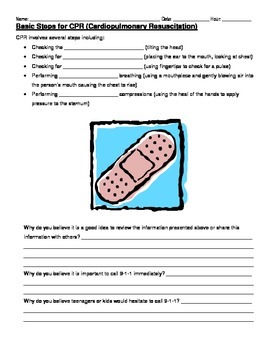 It includes overviews of what to do in case of bleeding, burns, stroke, bone breaks, and so much more. Please view the PowerPoint slideshow in my store to see detailed information. Includes three critical thinking questions at the end of the notes pages to incorporate writing and common core writing standards.